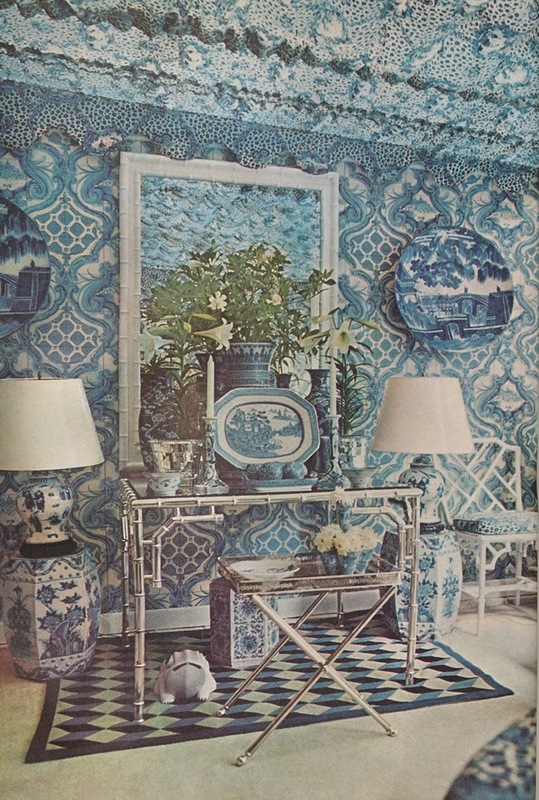 Here, you can see it in the blue and white sunroom of Oscar and Françoise de la Renta. Three chic homes, all of which featured this stylish paper. The only trouble is that I haven't a clue as to who produced this paper. Any ideas? 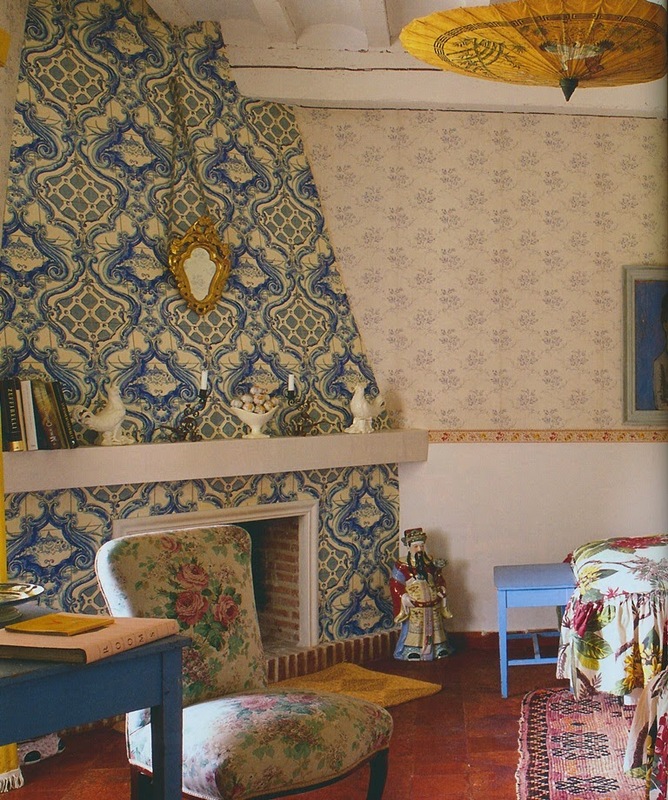 Top photo from World of Interiors, September 2014, Pablo Zuloaga photographer. Yes, the paper is gorgeous (looks like it's hand blocked). But those moments of serendipity are the best bursts of connection and joy. Super post--I can't believe that you can remember and place all of the thousands of images that you see. Brava. Love serendipity Jennifer, perfection here! Stunning photos! 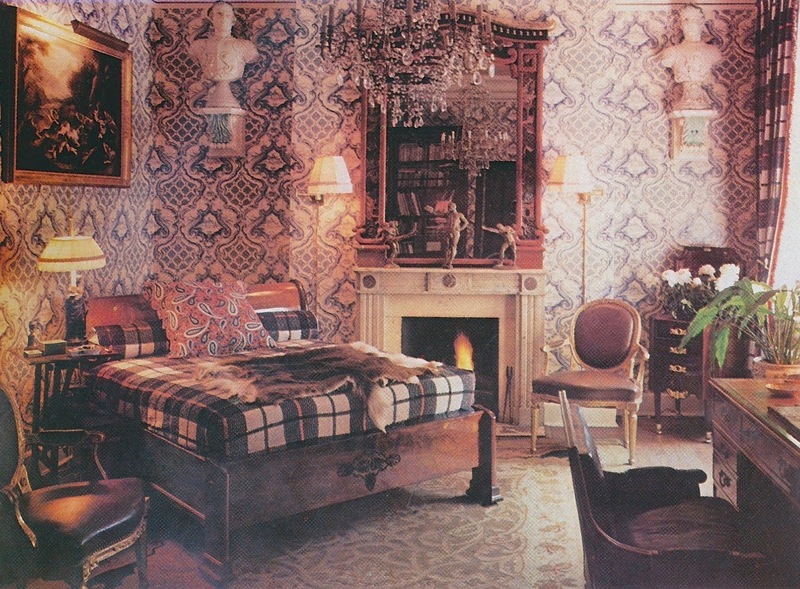 Even though the wallpaper is so bold and distinctive, I think it is more versatile than I'd expect. It actually takes on a different mood in each different setting. I hope you find the paper! Bravo Norman. One of my favorites from him, paraphrasing: "Nothing ruins a kitchen like appliances and upper cabinets."